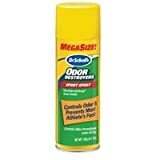 Dr. Scholl's Odor Destroy Foot Deodorant Sport Spray 4.7 oz. 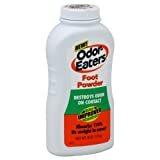 Odor-Eaters Foot Powder, 6 oz. The decision comes after dozens of screeners and thousands of passengers complained to the TSA that they felt light-headed, nauseous, and even slightly psychotomimetic while working at or waiting near the passenger screening areas of airports. 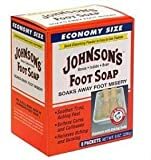 After an extensive investigation over the past several months, the TSA determined that the source of the complaints could be attributed to a seasonal increase in Plantar Effluvium Disorder (PED), or as it's commonly known in airports, "stinky feet." As a consequence, the TSA has made the doffing of shoes optional during passenger screening. The TSA also announced that it will launch an advertising campaign to encourage passengers to clean their feet, wash their socks, and air out their shoes at least a few days before traveling to help prevent the spread of PED. The campaign, called Forestall Offending Other Travelers—or FOOT—will begin "airing" on major television networks next month. Seeing this move from the TSA as an opportunity, Richard Reed has begun to market a shoe deodorant formulated specifically for airline travelers. Reed is an entrepreneur from Chagrin Falls, OH, who made a fortune selling "Richard Reed's No Nose Bleeds" for flyers with problematic whiffers. 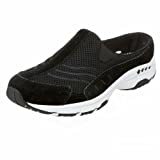 Marketing executives, however, believe that Reed, who already has a strike against him with his infamously homonymous name, will have a difficult time getting flyers to shell out $12.95 for what he is calling “Richard Reed's Shoe Balm."